Philly man killed in Trenton over $1,000 in heroin: COURT DOCUMENTS | Homicide Watch Trenton | Mark every death. Remember every victim. Follow every case. 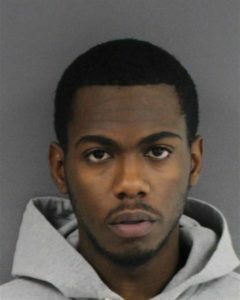 Bivens is charged with felony murder, robbery, attempted murder and other offenses related to the slaying of 27-year-old Eric Severino, who died about an hour after cops found him suffering from gunshot wounds in a white Dodge Journey near the intersection of Walnut Avenue and Monmouth Street. Arrest documents say Severino was with a colleague that night when they attempted to sell 10 bricks of heroin to a man they met in the capital city several weeks prior to the fatal shooting. That surviving witness told police he and Severino purposely traveled to Trenton to sell heroin and met a man who showed interest in buying their product. The sellers exchanged phone numbers with the buyer, court documents say, and a meeting was scheduled for the night of the killing. The witness told detectives they drove the Dodge SUV from Philadelphia to Trenton and met the buyer in the Wilbur Section around 10:30 p.m. The buyer climbed into the vehicle with a book bag, court documents say, but the parties disagreed over the price of the heroin, which was valued at approximately $1,000. Court documents say video surveillance captured the buyer exit the vehicle, then later reenter the SUV after the sellers drove a short distance away and parked. The witness told police the buyer pulled out a gun and shot Severino when he entered the vehicle the second time. As the witness fled on foot, documents say, he heard several shots being fired in his direction. Shortly after the murder, documents say, police tracked the buyer’s cell phone to the 200 block of Upland Avenue in Ewing, where Bivens resides. Documents say police later found the clothes the shooter wore and a large amount of heroin in Bivens’ home. Fingerprints taken from the front passenger side door of the victim’s SUV also matched Bivens’, according to court documents. Bivens, 20, remains held in jail pending a detention hearing that’s scheduled for Friday morning.